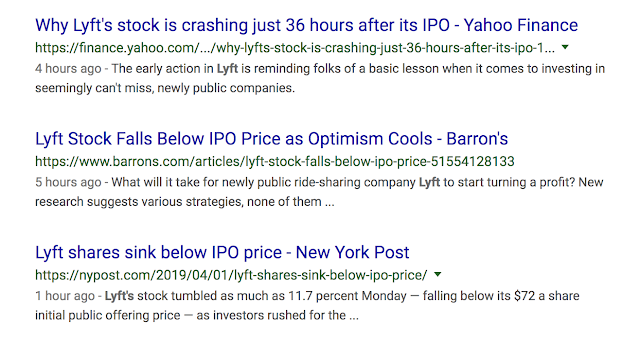 Cabal Performs FALSE FLAG to affect LYFT Ride Share IPO (Initial Public Offering) as LYFT moves to being publicly traded on the NYSE (Stock Exchange). 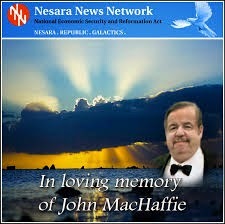 We all watched this when it first hit the news. The FAKE NEWS originally quoted a father in mourning father, saying, "Father speaks out after death of his daughter, when she got into the wrong Lyft Ride Share Car car as was murdered, stabbed to death. 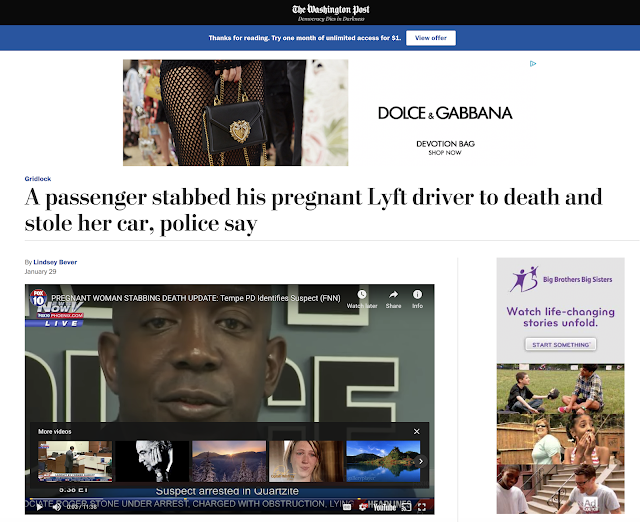 Now the FAKE NEWS MEDIA says it was a rider who stabbed his pregnant Lyft rider (flipped from the victim being a rider, to now being a driver). 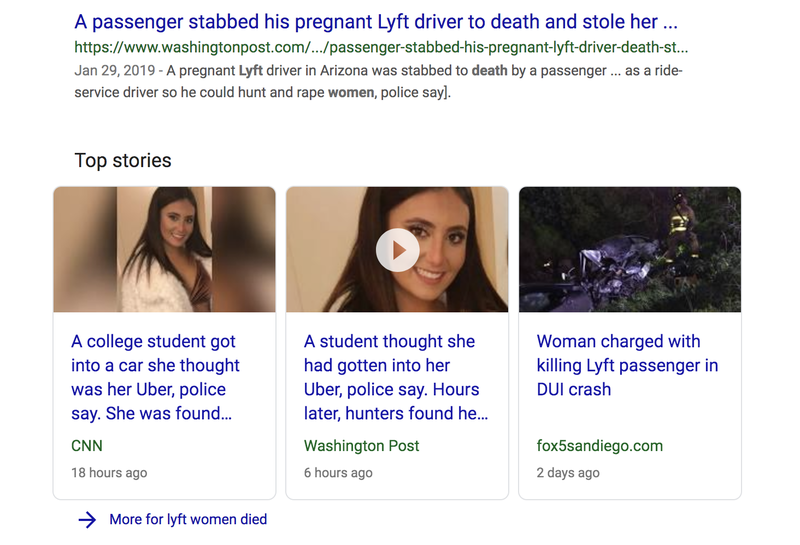 The pictures are still the same, same women, same murder, but now the headlines are flipped. 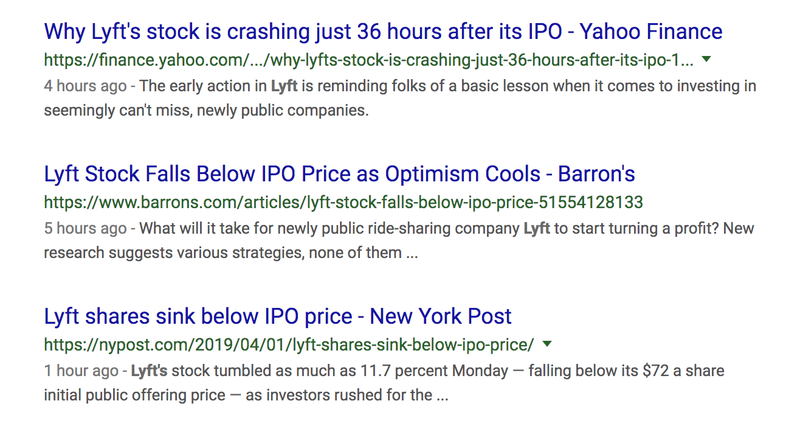 This is a FALSE FLAG to profit from the LYFT IPO, which just went public, sometime in the last three days. The Cabal will stop at nothing to Enslave the Entire Earth and all her living inhabitants. 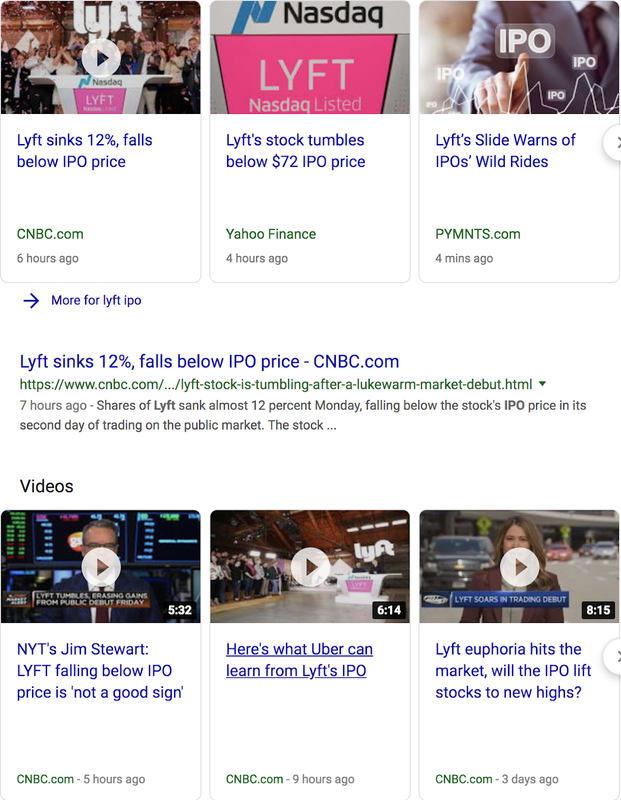 The Infinite Creator calls out to every living; man, women, & Child, Repent Now, Fight Against Evil, Fight for the Light, and Receive Your Entrance Into the Kingdom of Heaven. Never stop praying.